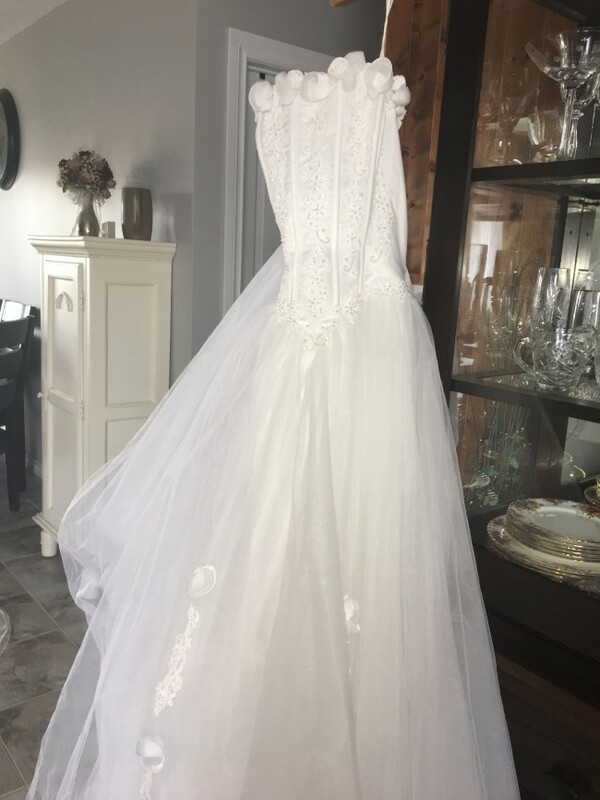 It has a silk bodice with roses and beautiful beading. Tulle skirt with roses throughout . Comes with matching arm length gloves. This is a princess dress and you will feel like a princess when you put it on . Once you send a message, Viola can invite you to purchase the dress.